PH Tech is a community partner with the Oregon Healthy Authority and they provide free application information and assistance to anyone in Oregon. Call PH Tech at 503-584-4208 for information and appointments. 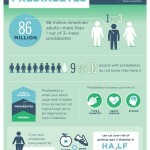 The CDC estimates about 10% of the US population has diabetes and 1 out of 3 American adults are pre-diabetic. Pre-diabetes is when your blood sugar levels are higher than normal but not high enough to be diagnosed as type-2 diabetes. The National Diabetes Prevention Program is for individuals who are pre-diabetic and want to make lifestyle changes to prevent diabetes. The program is one year long, the first 16 weeks participants meet once a week for one hour, and then only once a month for the rest of the year. To learn more information or to sign up for a class, please contact the Aging and Disability Resource Center at 1-866-206-4799 or information.nwsds@nwsds.org.